Two years ago the government began collecting data on disabilities and employment as part of the U.S. Census. The information collected helped the Labor Department to create the first-ever report on the employment landscape for the 27 million working-age Americans with disabilities. Not surprisingly, the outlook is bleak, as reported in today'sWall Street Journal. paisajístico ubicado al norte de la provincia burgalesa. Durante los últimos meses son varias las actuaciones realizadas en este espacio, cercano a la localidad de Berberana y del puerto de Ordu?a, con el fin de que las actividades en la naturaleza lleguen cada vez a mayor público y con mejores servicios. Entre las obras de acondicionamiento destaca la mejora de los accesos a la Casa del Parque, así como la creación de una senda accesible para personas que necesiten una silla de ruedas. De esta forma, se permite el acceso con mayor comodidad hasta uno de los elementos de interés del parque natural como es la reconstrucción de una lobera. An investigation by the Department of Transportation's Aviation Enforcement Office of disability complaints filed with AirTran and DOT revealed a number of violations of the requirement for boarding assistance. In addition, the carrier's complaint files showed that it frequently did not provide an adequate written response to complaints from passengers. AirTran also failed to properly categorize disability complaints in reports filed with the Department, the Aviation Enforcement Office found. Of the $500,000 penalty, up to $60,000 may be used to establish a council to help the carrier comply with federal disability rules and hire a manager for disability accommodations. Up to $140,000 may be used to develop and employ an automated wheelchair tracking system at AirTran's major hub airports within one year that will generate real-time reports of the carrier's wheelchair assistance performance. The consent order is available on the Internet at www.regulations.gov , docket DOT-OST-2010-0005. Bill Forrester of Travability usually passes through my part of the world once a year. Unable to meet up this year he has just shared a collection of photos he took highlighting the wheelchair accessibility of Ketchikan, Alaska. See his post on European barge cruise accessibility for a topic that is too infrequently discussed. De cada 100 brasileiros, 14 s?o portadores de algum tipo de deficiência. Para a maioria deles, a inclus?o social ainda é um sonho. Em uma feira no Rio de Janeiro, inventores provam que o mínimo de boa vontade pode garantir o direito à cidadania. Através de ideias simples e pequenas adapta? ?es, a vida muitas pessoas que tem um cotidiano limitado pode ser mudada. The CBM Regional Office Eastern Mediterranean Region (EMR) invited regional key experts involved in promoting the rights of persons with disabilities to form a CBM Regional Advisory Committee EMR. The Committee will be a means for the involvement of rights holders- and partner representatives in all stages of programme development, as recommended in Article 4.3 of the UN Convention on the Rights of Persons with Disabilities. CBM is an international disability and development organisation committed to improving the quality of life of persons with disabilities in the poorest countries in the world. CBM is recognised by the World Health Organisation and obtained roster consultative status with the United Nations Economic and Social Council. The CBM Regional Advisory Committee EMR was officially opened by HRH Prince Raad Bin Zeid. HRH Prince Raad Bin Zeid expressed his appreciation for the work of CBM in the region, as well as his full support for the establishment of its Regional Advisory Committee which promotes the inclusion of the perspectives of persons with disabilities in CBM`s strategies and programmes. Members of the CBM Regional Advisory Committee EMR are Disability Activists, as well as experts from different governmental and non-governmental organisations in the region. The members will give CBM feedback and recommendations on regional strategies and plans. In addition, the committee will give advice on regional policies and concept development. During the first meeting of the CBM Regional Advisory Committee EMR, the former President of the World Blind Union, Ms Kicki Nordstr?m, elaborated on the UN Convention on the Rights of Persons with Disabilities "Governments will not freely ratify, implement or monitor the convention by themselves! We must urge them to do so! I therefore urge you to cooperate with all DPO's in your country (...), I think we could as an international movement, become extremely powerful! Challenge your State so that people with disabilities may experience full human rights, fundamental freedom and equal opportunities in your homeland and elsewhere. Always recall the slogan: "Nothing about us, without us"!" The CBM Regional Director EMR, Ms Tanja Kern, explained "We have a lot to learn on our way to become a fully inclusive organisation. We are here to share, listen and learn from you. Let us celebrate diversity and work together for our common cause!" The next meeting of the CBM Regional Advisory Committee EMR is planned to take place in November 2010.
million people in the Asia-Pacific region. next regional decade on disability. a new regional decade on disability starting from 2013.
prospects for prosperity," she said. society for persons with disabilities. I've been following the ongoing conflict in Burma for several years, but it wasn't until I heard the stories at former Secretary of State David Kilgour's house that I decided it was time to check out the situation on my own. Mr Kilgour had a reception at his Ottawa home for several Burma advocates including Dr. Cynthia Maung - everyone simply calls her Dr. Cynthia. She had come to Ottawa from the Thai-Burma border to urge the Canadian government to continue its federal funding of relief projects there. Dr Cynthia is an inspiring Burmese woman who has won a slew of international human rights awards; she also runs a medical clinic for refugees on the border of Thailand and Burma, where hundreds of thousands have received treatment since the conflict began. It wasn't long after that I threw my bag on the back of my wheelchair and embarked on a journey to witness some of the impacts caused by a brutal military regime. I landed in Bangkok Thailand where I would begin my journey to Mae Sot. It's a town that shares a border with Burma where Burmese refugees outnumber Thais by more than two to one. As a main over-land gateway between the two countries, it has gained a notorious reputation for gem trading, human trafficking and drugs. It is also home to hundreds of thousands of Burmese refugees and economic migrants. Refugees come mostly from Burma's war torn ethnic Karen State, a region engulfed by intense conflict between the 400,000 government soldiers and a small rebel force of 12,000 fighters. The rebels are determined to achieve an autonomous Karen State and to protect the Karen people from abuses by the government. Over the years, thousands of ailing refugees make their journey to Dr. Cynthia's Mae Tao Clinic. Many of them arrive on foot, some barely making it. The clinic was established by Dr. Cynthia during the 1988 Burmese pro democracy movement. The military seized power, many activists disappeared, and others fled the country. Traveling through the jungle at night, Dr Cynthia and fourteen of her colleagues carrying limited supplies made their way to Thailand. Along their 7 day journey through the jungle, they passed through remote villages, treating local people suffering from disease and injury. To the generals of Burma, she is an opium-smuggling terrorist and an insurgent causing unrest. To the thousands she treats and trains, she is a saint. The clinic provides free health care for those who are escaping the military rulers. People of all ethnicities and religions are welcome at the clinic. The success of the Mae Tao Clinic depends upon collaboration with other local and international organizations and the ongoing support from the international community. My stay in Mae Sot was heartbreaking but hopeful. From education projects, health clinics, to orphanages, people from all around the world come to Mae Sot to assist in any way they can. Derek Koch is one of these people, a fellow Canadian who works with an NGO called Imagine Thailand. For years, large numbers of children have been fleeing the region towards the relative safety of Thailand. This has led countless children into over crowded orphanages in Mae Sot. Imagine Thailand works in poor and marginalized communities empowering youth, businesses and communities with the tools needed to bring about beneficial change. Derek brought us to a few of the many orphanage/boarding schools where in some cases only 2 bathrooms were available for 400 students, 140 of them who live there on a permanent basis. One of the projects his NGO is involved with; is the 'Clean Water Project'. Globally, diarrhea is the leading cause of illness and death and 88% of diarrhoeal related deaths are due to a lack of access to sanitation facilities. The Clean Water Project helps by providing each migrant school in Mae Sot with a source of clean, reliable drinking water. The reverse osmosis water filtration system removes bacteria and toxins and cleans the water to nearly 100 percent purity. For the most part, the border town does not lack water; it lacks water that is safe and clean. For many, drinking water without toxins and bacteria is not an option. Bottled water is expensive, especially for those with an extremely limited budget. Improving access to clean water and sanitation is vital for children to develop physically, and mentally. It is also one of the UN Millennium Goal targets. After leaving Mae Sot, I left for Burma. I flew into the capital, Rangoon. The city was old, run-down. Its infrastructures were crumbling and inadequate. At the same time, it had beautiful sites such as the Shwedagon Pagoda, a 2500 year old sacred Buddhist pagoda with relics of the past four Buddha's. The people of Burma too are warm, welcoming and very friendly. This was surprising given the oppressive conditions they live in. Government control is pervasive. Internet access is highly censored. There is no independent judiciary or democratic institutions. Burma is the textbook example of a police state. The average Burmese person is afraid to speak to tourists except in superficial ways, fearful of being hauled in for questioning or worse. Every attempt I made to travel to the Karen region proved impossible. No driver would take us there. My journey to the border was something I will never forget. The images of misery are enduring as is the hope for a brighter tomorrow thanks to the many local Burmese, Thais and foreigners who dedicate themselves to helping the refugees. Despite the continued suffering inflicted by the Burmese military government, around the world there is support. Grass roots organizations and NGOs are mobilizing, advocating, and putting pressure on governments to urge Burma to change its course. The European Union Passenger Rights Campaign: Take Inclusion Global Now! This summer the European Commission has launched a new campaign to raise awareness of passengers' rights. Although the European Union has made great strides in recent years in establishing common passenger rights for those travelling by air or rail, not every European is yet aware of what he or she is entitled to. This campaign sets out to make all air and rail passengers aware of what rights they enjoy under European legislation and how to make use of them. In the summer holiday season, millions of Europeans will be travelling by plane and train in search of some well-deserved rest and relaxation. Being aware of their rights will prevent many problems for air and rail passengers. The campaign is being conducted in all of the EU's official 23 languages so that people will be able to be informed about their rights in their mother tongue. Posters and leaflets will be available progressively from the end of June at airports and train stations in all 27 Member States. Trang web cá cược trực tuyếnhttp://ec.europa.eu/passenger-rights. Watch this 6-minute video about the rights of air and rail passengers with a disability or reduced mobility. (English text and subtitles). Why were air passenger rights introduced? Since the early 1990s travelling by plane has taken off significantly. However, this rapid growth has also led to some inconveniences, which have often affected passengers. Faced with these developments, the EU has been working since 1991 to guarantee equal basic rights for all passengers by developing EU legislation to apply in all European Union countries. In February 2005, EC Regulation 261/ 2004 came into effect. This Regulation establishes common rules on compensation and assistance to air passengers in certain situations. This legislation applies to passengers departing from airports situated within the territory of a Member State and to all those arriving into such airports from a third country where the flight is operated by a European carrier. What rights do air passengers with a disability or reduced mobility have? Under EU legislation people with disabilities and/or reduced mobility are protected from being discriminated during reservation and boarding. They are also entitled to receive assistance at airports (on departure, on arrival and in transit) and on board airplanes. In order to facilitate the provision of assistance, it is recommended to pre-notify your needs. Which are the basic rights? receive appropriate care (refreshments, meals, accommodation or transportation to and from the airport as appropriate), while awaiting re-routing or in case of long delays, (depending on the length of the flight, for instance, two hours of delay for flights of 1500 kilometers or less, or three hours for all intra-community flights). What happens when a flight gets overbooked? When a flight is overbooked, airlines are obliged to first seek for volunteers ready to give up their reservation in exchange for certain benefits (for example air miles, or vouchers, or money, or the right to extra-ticket, or to be upgraded in a different flight). In addition the air carrier must always offer volunteers the choice between a full refund of their previous reservation or a re-routing. Passengers may be entitled to compensation of between €250 and €600 depending on the distance of the flight and the delays experienced before being re-routed. Whenever the re-routing is chosen, the airline must provide the passengers having volunteered for it all the necessary assistance, e.g. some food and drinks, access to a phone, an overnight stay if necessary and, if appropriate, transportation between the airport and the place of accommodation. What happens when a flight gets cancelled? reimbursement, within seven days, of the ticket price or of the unused parts of the ticket, when appropriate. re-routing to the final destination under similar transport conditions, including through other air carriers or other transport modes . If necessary, passengers awaiting re-rerouting are entitled to appropriate care (phone call, refreshments, food, accommodation, transportation to the accommodation). What happens if there are long delays? If the flight suffers a delay of three hours or more, passengers may be entitled to a compensation identical to that offered when the flight gets cancelled, unless the airline can prove that the delay was caused by extraordinary circumstances. Additionally, airlines can be held liable for damages resulting from delays. If the delay is more than five hours, and passengers decide not to continue their journey, they are entitled to have their ticket reimbursed and be flown back to where they originally started their journey. What happens if baggage gets lost, damaged or delayed? If baggage gets lost, damaged or delayed, passengers may be entitled to compensation limited to about €1220. For damaged baggage, passengers must lodge a claim to the airline within seven days of receiving their baggage. Are air passengers entitled to know who they will be flying with? Passengers must be informed in advance about which airline is operating their flight. Airlines found to be unsafe are banned or restricted within the European Union. The organisers and retailers of package holidays are obliged to provide precise, complete information about booked package holidays. They are obliged to honour contractual terms and to protect passengers in the event of insolvency. Package tour operators must give accurate information on the holiday booked, comply with contractual obligations and protect passengers in the case of the organiser's insolvency. What rights do air passengers have when buying their tickets? According to EU legislation, when purchasing air fares within the EU, the applicable conditions should be made clear to the buyer. The final price to be paid should be indicated at all times and should include the applicable air fare, as well as applicable taxes, charges, surcharges and fees which are unavoidable and foreseeable at the time of publication. It should also show the breakdown between the fare, the taxes, the airport charges and finally the other charges, surcharges and fees. Optional price supplements should be communicated in a clear, transparent and unambiguous way at the start of the booking process and the acceptance of them should be on an "opt-in" basis. What if airlines do not accept this, or if they will not apply the rights I have? If you have problems claiming your passenger rights you need to complain - firstly to the air carrier and if you are still dissatisfied with its answer, then to the competent national body. Furthermore, passengers can always address themselves to the competent court, i.e. by first having resort to the small claim procedure that may exist in a Member State or the European small claim procedure. This European small claim procedure aims to accelerate the settlement, simplify procedures and reduce the costs in civil and commercial cross-border disputes where the value of a claim does not exceed € 2,000.This procedure works on the basis of standard forms. It is a written procedure unless an oral hearing is considered necessary by the court. It works between all Member States of the European Union with the exception of Denmark. If you need more information on your EU rights and how to access them? Travellers affected by the situation are advised to contact their airlines or travel agents first. For information you can contact a European Consumer Centre (ECC) in any country and/or any national consumer organisation. There is also a Europe Direct phone line - advertised on posters in many airports throughout Europe where you can also get more information. O 3o Congresso Muito Especial de Tecnologia Assistiva e Inclus?o Social das Pessoas com Deficiência do Rio de Janeiro é uma realiza? ?o do Instituto Muito Especial com o apoio do Ministério da Ciência e Tecnologia. O evento visa refor?ar a importancia do tema e apresentar as inova? ?es na área de Tecnologia Assistiva, além de debater sobre as novas possibilidades que facilitam e contribuem para a inclus?o social da pessoa com deficiência. O Congresso será realizado no Rio de Janeiro entre os dias 23 e 26 de agosto de 2010.
? Difundir experiências inovadoras, como um instrumento facilitador no processo de inclus?o social e profissional das pessoas com deficiência. O credenciamento ocorrerá no dia 23, às 17h30m, mas apenas as 500 primeiras pessoas a se credenciarem garantem o kit do Congresso (mochila, cartilhas, bloco, pasta e caneta). Na abertura do congresso haverá show do sambista Gabrielzinho do Irajá com participa? ?o do cantor e compositor Diogo Nogueira! Anafor Tour provides a unique service solving the private transport needs of disabled and older people either resident in, or visiting Turkey. Daily service : We take you from your residence and drive you to your work, school, doctor, physical therapy, or any other place has be visited on a regular basis the fare is monthly and discounted. ANAFOR TOUR BIETET EIN GANZ INDIVIDUELLEN SERVICE FüR DEN TRANSPORT VON BEHINDERTEN PERSONEN ODER SENIOREN DEREN WOHNHAFT IN DER TüRKEI IST ODER DIE SICH NUR ALS REISENDE HIER BEFINDEN. TAGES FAHRTEN : WIR HOLEN SIE AB VON IHREM WOHNSITZ UND FAHREN ZUR SCHULE ,ZUM ARZT ZUR TERAPIE ODER WOHIN IMMER SIE TAEGLICH HINFAHREN MüSSEN. Stiamo già pensando alla settima Settimana Nazionale della Spina Bifida, dal 2 al 10 ottobre. Lo spazio è per scrivere, aprire discussioni, pubblicare foto, collegarsi al sito Web.. e sostenere la Settimana, per tutti i giorni dell'anno! 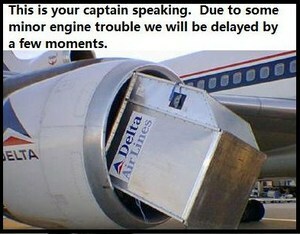 It is not an easy time for airlines. Unfortunately, a scan of current news stories indicates that it is even a worse time for airline passengers with disabilities. Ironically, despite the fact that the transport ministry is planning to submit a Kotsu Kihon Ho (the basic transport law) bill to the Diet next year, which would incorporate the idea of Ido-ken (the right to mobility) for the first time, it has so far done little to improve disabled people's access to air transport. More could be done -- such as demanding airlines pay better attention to special-needs travelers -- if only more people would speak up, said Ono, who says he has so far received through the ministry's hotline only one complaint from a disabled passenger about denied access to flights. On a personal note, "Tanner got his chair back"
Air Canada found itself in a PR nightmare and was hit hard yesterday morning by posts on Twitter and other social networking sites after it damaged Tanner Bawn's $15,000 wheelchair -his only mode of transportation. Bawn suffers from Duchenne muscular dystrophy and the loss of the chair left him largely confined to his hotel room. Bawn and family were heading to New York to attend a charity run called Tutus for Tanner today to raise awareness for the boy's disease. "Tanner has his chair back," his aunt Catherine Connors of Toronto. A woman with a disability that requires her to have extra oxygen when she flies has argued her case in the Court of Appeal at Wellington today after a decade-long court battle against Air New Zealand for what she calls discrimination. Valerie Joan Smith suffers from a congenital condition which, among other symptoms, means she has a limited lung capacity and can not fly without supplementary oxygen because of the lowered air pressure in the cabin. In 1999, Ms Smith took an Air NZ flight to Melbourne and advised the company of her need for extra oxygen, for which she was charged $298, a cost she was not happy with. Does easyJet discriminate against the disabled? The accusation is being made by the French government and the airline categorically refutes the charge. It could have an impact on skiers returning home who have injured themselves. Apparently the airline will not let disabled people travel unless they have an accompanying adult with them who would then be able to help them to an exit in an emergency and deal with other problems. Disabled travellers are forced to pay more for airline seats which suit their needs, according to Access Travel. Recently, carriers have begun charging an extra ￡25-￡50 per head for seats near the front of the aircraft which have easier access and extra leg room. "They used to be the same price as the other seats and were allocated on a first come first serve basis or to people who needed them most, such as disabled travellers," Access Travel Director Desmond Deignan told Travel Daily. "It's now the biggest problem we face when trying to organise holidays for our customers. We also have to pay extra for seats for their carers who will need to sit with them during the flight. "While some airlines will offer priority seating to disabled travellers, they always require a doctor's note detailing the condition. "It's a major hassle for customers to get a doctor's note and sometimes they have to pay. In addition the note must specify that the person needs a carer to accompany them otherwise they have to pay the extra ticket price." My father used to have a bumpersticker on his RV something to the effect that he was looking for a woman with x,y, and z characteristics. It ended with "must have own sailboat." It has been a while, my own fault, since I have been out on the water but the summer weather had me looking for what I might book through Waypoint Yacht Charter Services. Within hours of announcing your intention to purchase a boat, you are almost guaranteed to hear this old saw: "The day you buy your first boat is the best day of your life; the second best day is the day you sell it." The devil's in the details, of course, and details are generally expensive. I learned this many years ago, after buying a used Jaguar XKE for $4,000, and drastically cutting down both my wheelchair and my hand controls in order to drive it. Oh, what a bargain I thought I'd stumbled upon! Well, of course, it was no bargain at all, and I sold it six months later, delighted to be out from under it. After reading about Kevin Robinson's love affair with "a hole in the water that you pour money into" I am all the more satisfied to continue to do business with Sherri Backstrom at Waypoint and just go along for the ride! EasyJet Sets the Trend for Airlines: Can't Get Rid of Their Disabled Passengers Fast Enough! The National Center on Accessibility conducted comprehensive physical and programmatic accessibility assessments of Fort Vancouver National Historic Site (Vancouver, WA) and Klondike Gold Rush (Seattle, WA). Assessments of the parks are a new project between NCA and the National Park Service Accessibility Management Program where 40 small, non-fee national parks will be assessed over the next two years. NCA staff has developed quite the expertise in park assessments following on the heels of a 12-park pilot assessment project with the National Park Service and other special projects such as assessment of the North Rim of the Grand Canyon. During the June trip, staff focused assessment attention on historic Fort Vancouver along the Columbia River which was once the principal supply depot of the Hudson's Bay Trading Company. Further north, staff assessed the Seattle park unit that interprets the story of the stampede to the Yukon gold fields in 1897. Adoption of the 2010 ADA Standards for Accessible Design. The Department has adopted revised ADA design standards that include the relevant chapters of the Access Board's 2004 ADA/ABA Accessibility Guidelines as modified by specific provisions of this rule. To minimize compliance burdens on entities subject to more than one legal standard, these design standards have been harmonized with the Federal standards implementing the Architectural Barriers Act and with the private sector model codes that are adopted by most States. Effective Date. The rule will become effective six months after publication in the Federal Register. Eighteen months after publication, compliance with the 2010 Standards will be required for new construction and alterations. In the period between the effective date and the compliance date, covered entities may choose between the 1991 Standards and the 2010 Standards. Covered entities that should have complied with the 1991 Standards during any new construction or alteration of facilities or elements, but have not done so by 18 months after the date of publication of the final rule, must comply with the 2010 Standards. Element by Element Safe Harbor. The rule includes a general "safe harbor" under which elements in covered facilities that were built or altered in compliance with the 1991 Standards would not be required to be brought into compliance with the 2010 Standards until the elements were subject to a planned alteration. Similar safe harbors were adopted for elements associated with the "path of travel" to an altered area. Wheelchairs and Other Power-Driven Mobility Devices. The rule adopts a two-tiered approach to mobility devices, drawing distinctions between wheelchairs and "other power-driven mobility devices." "Other power-driven mobility devices" include a range of devices not designed for individuals with mobility impairments, such as the Segway? PT, but which are often used by individuals with disabilities as their mobility device of choice. Wheelchairs (and other devices designed for use by people with mobility impairments) must be permitted in all areas open to pedestrian use. "Other power-driven mobility devices" must be permitted to be used unless the covered entity can demonstrate that such use would fundamentally alter its programs, services, or activities, create a direct threat, or create a safety hazard. The rule also lists factors to consider in making this determination. This approach accommodates both the legitimate business interests in the safe operation of a facility and the growing use of the Segway? PT as a mobility device by returning veterans and others who are using the Segway? PT as their mobility aid of choice. Reservations Made by Places of Lodging. The rule establishes requirements for reservations made by places of lodging, including procedures that will allow individuals with disabilities to make reservations for accessible guest rooms during the same hours and in the same manner as other guests, and requirements that will require places of lodging to identify and describe accessible features of a guest room, to hold back the accessible guest rooms for people with disabilities until all other guest rooms of that type have been rented, and to ensure that a reserved accessible guest room is removed from all reservations systems so that it is not inadvertently released to someone other than the person who reserved the accessible room. The final rule limits the obligations of third-party reservation operators that do not themselves own and operate places of lodging. In addition, to allow the hospitality industry appropriate time to change reservation systems, the final rule gives places of lodging 18 months from the date of publication to come into compliance with these requirements. Timeshares, Condominium Hotels, and Other Places of Lodging. The rule provides that timeshare and condominium properties that operate like hotels are subject to title III, providing guidance about the factors that must be present for a facility that is not an inn, motel, or hotel to qualify as a place of lodging. The final rule limits obligations for units that are not owned or substantially controlled by the public accommodation that operates the place of lodging. Such units are not subject to reservation requirements relating to the "holding back" of accessible units. They are also not subject to barrier removal and alterations requirements if the physical features of the guest room interiors are controlled by their individual owners rather than by a third party operator. 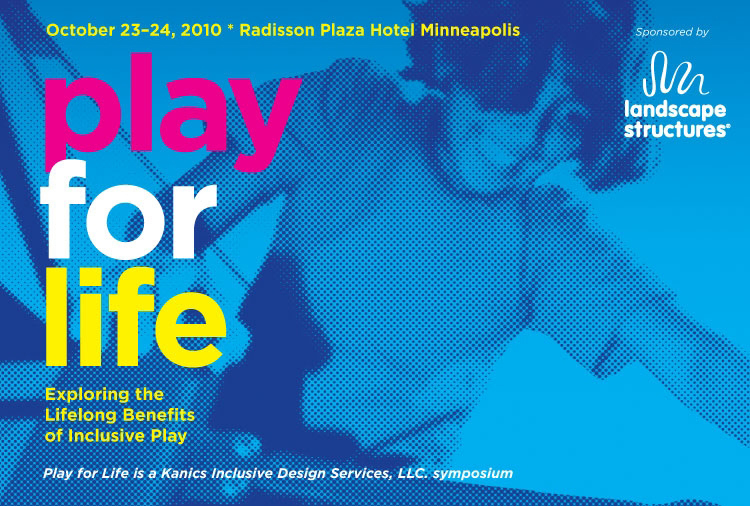 You will be hearing more about the Play for Life event on inclusion and play as I prepare a presentation for it on play, disability, and travel. 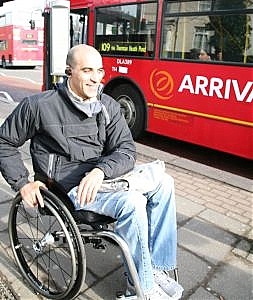 Transport for All has been championing the cause of accessible transport in London for two decades. As an organisation of disabled and older people they bring the grass roots experiences and opinions of service users to those who run the transport network. GfK are a market research company who carry out mystery travelling surveys across the London Transport Network. They are currently looking to recruit people with visual, hearing and physical impairments within the Greater London area to conduct mystery shopping on the transport services (buses, taxis, Underground etc). The survey has been running for some years and aims to monitor and assess the service offered to disabled people by transport services in London. Assessors take pre-determined journeys on various modes of transport around London, including buses, taxis and London Underground. These may also include assessments of bus stations and 'interchanges'; that is changing between various modes of transport, for example, taking a bus to an Underground station, then taking the Underground to another station and then taking a taxi home. There may be other areas also, for example assessments of the street environment and a pre-journey telephone call to ask for information. Assessors pose as ordinary travelers and take specific journeys (instructions are given about what mode of transport to use, where to board and alight etc). They then answer a series of questions about their journey. Some interaction with staff is usually required; this may be a request for assistance or a question concerning some aspect of accessibility. Since 2003, StoryCorps has been recording and preserving the voices of everyday people, one conversation at a time. For the past five years, the producers have shared one of these stories each week on NPR. Now, StoryCorps brings its Peabody Award-winning storytelling to public television in collaboration with POV (Point of View). StoryCorps' new animated shorts feature some of the series' best-loved radio stories. Animated by Mike and Tim Rauch and using original StoryCorps audio recordings, these short films capture the intimate and emotionally resonant conversations that have become renowned as NPR's quintessential "driveway moments." The series of six documentary shorts will take viewers from an intimate conversation between a boy with Asperger's syndrome and his mom, to a Brooklyn couple remembering how they fell in love and recognizing that they now must learn to let go, and to several other memorable places in between. The StoryCorps documentary animations will air this summer with selected feature-length films starting on Tuesday, Aug. 17, 2010. Additional StoryCorps films will be presented on POV in 2011, as well as being presented as standalone films in partnership with PBA 30 (Public Broadcasting Atlanta). The StoryCorps collection is funded by the Corporation for Public Broadcasting. For trailers, press releases and downloadable art, visit www.pbs.org/pov/pressroom. POV, now in its 23rd season, airs Tuesdays at 10 p.m. on PBS. (Check local listings.). POV continues weekly through Sept. 21 and concludes with a special broadcast on Oct. 5. American television's longest-running independent documentary series, POV is the recipient of a Special Emmy for Excellence in Television Documentary Filmmaking. · Q&A - Joshua Littman, a 12-year-old boy with Asperger's syndrome, interviews his mother, Sarah. Joshua's unique questions and Sarah's loving, unguarded answers reveal a relationship that reminds us of the best -- and the most challenging -- parts of being a mother. The first StoryBooth opened on Oct. 23, 2003, in New York City's Grand Central Terminal. In May 2008 the new flagship StoryBooth opened in Lower Manhattan'sFoley Square. StoryCorps currently operates StoryBooths in New York City, San Francisco and Atlanta. Two StoryCorps MobileBooths travel across the country, partnering with local public radio stations in various cities for one month at a time. StoryCorps' first two MobileBooths hit the road on May 19, 2005. The Coalition of Organizations for Accessible Technology (COAT) applauds the U.S. Senate for passage of the "Twenty-first Century Communications and Video Accessibility Act" (S. 3304) by unanimous consent on August 5, 2010. COAT especially thanks Senator Pryor (D-AR), who introduced S. 3304, as well as co-sponsors Senators Kerry (D-MA), Dorgan (D-ND), and Conrad (D-ND). Passage of S. 3304 was also supported by Senators Hutchison (R-TX), Ensign (R-NV), and Schumer (D-NY). "The U.S. Senate takes us a huge step forward for accessible technology," said Jenifer Simpson of the American Association of People with Disabilities (AAPD), a COAT founding member. "They have given Americans with disabilities access to smart phones, other advanced communications technology, and video programming," she added. "We are delighted that S.3304 ensures the availability of captioning for television programs on the Internet," said Rosaline Crawford of the National Association of the Deaf, another COAT leading organization. "Our community was left behind as television moved to the Internet, and S. 3304 takes a big step in the right direction," she added. "Video description for television programs - the narration of visual elements during pauses in dialogue - is essential in this day and age," said Eric Bridges of the American Council of the Blind, another COAT leader. "More importantly, I thank the U.S. Senate for ensuring that we will now have access to the same emergency information everyone else has been seeing on television for years. Unbelievably, up until now, all the FCC has required is an audible tone on television to alert people who are blind or visually impaired that they should go seek out emergency information somewhere else. Having equal access to emergency information increases the safety of our community and will save lives!" Among the other provisions in S. 3304 are requirements for accessible user controls for televisions and set-top boxes, and easy access to closed captioning and video description. Mark Richert of the American Foundation for the Blind, another leading COAT organization said: "The Senate's action last week brings people with vision loss so much closer to the access they deserve to advanced communications equipment and services, such as text messaging, email, and web browsing. These technologies aren't luxuries; they are essential tools for learning, working and participating in community. The U.S. Senate's leadership will bring people into the digital world, people who have been left out and left behind when industry fails to design accessibility into their products and services. S. 3304 will encourage companies to innovate to make advanced communications accessible on smart phones and other devices." S. 3304 will now go to the House of Representatives. About COAT: The Coalition of Organizations for Accessible Technology, or COAT,founded in March 2007, is a coalition of over 310 organizations that advocates for legislative and regulatory safeguards that will ensure full access by people with disabilities to evolving high speed broadband, wireless and other Internet protocol (IP) technologies. More information is available at http://www.coataccess.org or by e-mail to info@coataccess.org. On July 26, the US Department of Justice (DOJ) issued rules to update its ADA regulations and to implement new accessibility standards for facilities. The U.S. Access Board and DOJ will conduct a free webinar on September 2, 1:30 to 4:00 (ET) on the updated regulations and standards. DOJ representatives will highlight what is new in the revised title II and title III regulations, including requirements for existing facilities. Access Board staff will review major changes in the new ADA standards which are based on accessibility guidelines established by the Board. A significant portion of the program will be reserved for an open question and answer session with the presenters. For more details or to sign up for this webinar, visit www.accessibilityonline.org. Other upcoming webinars in the Board's series will cover accessible routes (October 7), airport terminals (November 4), and play areas (December 2). Further information is posted on the Access Board's website at www.access-board.gov/webinars.htm. Inspired by the Animal Adoption Drive kicked off by Anil Kumble, we had been to Bannerghatta National Park last Sunday (08th Aug 2010), with family and children. It was also an opportunity for me to relive my childhood memories. This time I was using a wheelchair. 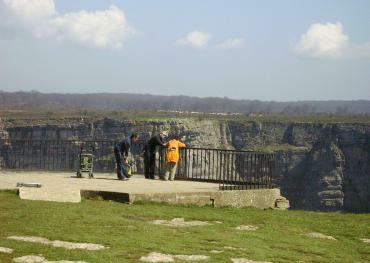 I was appalled by the total inaccessibility to all the facilities and services at the National Park. The bus stand and car park is more than a kilometer away from the main gate; all the routes outside and inside the park are extremely bumpy. Noise and chaos reigns supreme. The honking vehicles, noisy and smoky generators in the wayside shops, disorderly crowd rushing to the ticket, safari, food and animal enclosures. I felt that this place was no different from Kalaysipalyam Bus Stand in City Market. I pity the animals that have no choice but to endure this torture all their lives in the National Park. To reach the animal enclosures, seating area, drinking water and food counters one has to balance and cross-over rough granite slabs that act as culvers. Incidentally it started to rain and I had to fend for myself under the tree as I could reach any of the shelters. The sign boards are totally inadequate. The public toilet in the park is situated on top of a mini hillock and you need trekking skills to reach the place. What happens to those who cannot climb? You can guess. I missed the Butterfly Park, Reptile Park and the Safari too. All I can remember of my 'picnic' is being rooted under a tree near the main gate waiting to go back home. 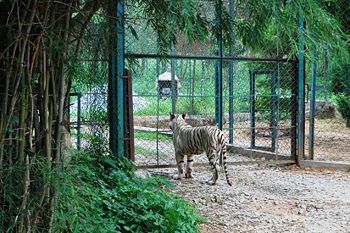 The Bannerghatta National Park is one of the places of pride of Bengaluru, Karnataka and the Nation, it features prominently in the tourism map of the country. Unfortunately this place is totally insensitive to the needs of children, persons with disabilities and senior citizens. I had been to the Mysore Zoo earlier this year, this place I must say, has transformed. The zoo is clean, well maintained with neatly laid cobbled stones, there is a battery operated vehicle that takes you around and is being used by persons who find it difficult to walk. Is it not the responsibility of the authorities to periodically improve on basic need/ requirements of allits visitors and the animals? The stone culverts have been there for years and have not moved a millimeter. Do we lack the knowledge, skill or resources? Is it disinterest? When it can happen in Mysore Zoo, why not at Bannerghatta? Will the authorities Act, if I file a complain with the Commissioner Disabilities for violating Chapter VIII - Non-Discrimination, Section 46 of the Persons with Disabilities Act, 1995 or with the City Corporation for violating the Bangalore Mahanagara Palike - Building bye-laws - Part IV - Schedule XI - Bye-law 31 - "Facilities For Physically Handicapped Persons" of if I quote "India has signed and ratified the UN Convention on the Rights of Persons with Disabilities" based on which a New Law on the Rights of Persons with Disabilities is being drafted by the Ministry of Social Justice and Empowerment. Oi gente, dividindo com vcs uma das coisas que mais eu gosto de fazer na vida, DESFILAR!!!! um desfile mt especial, para uma empresa que trabalha na confeccao de jeans para deficiente fisico, show de bola, querendo qualquer coisa eh soh acessar o link deles, www.weadapt.eu Recomendadissimo! Espero que vcs curtam o show tanto como eu de ter feito este trabalho! Beijao no coracao. Too many designers, marketers and concerned observers have declared universal design to be the universal answer to meet the new needs of the growing numbers of older baby boomer consumers. While not altogether incorrect, they are woefully incomplete in their hopes and claims ... Even if an older consumer can easily use a technology, they must value its functionality before investing the money, time to learn, let alone adopt a new way to do tasks that they may already achieve with 'tried and true' methods. "It will be the Baby Boomers who will be the first to pick and choose, to ignore or be seduced by leading-edge technology marketing. There's a simple reason for this. We have the money to buy this stuff. Experts say we'll continue to have the money for at least the next twenty years. Write us off at your own peril. I was in Washington, D.C. the last week of July for the National Summit on Disability Policy, sponsored by the National Council on Disability. The event was designed to do two primary things: commemorate the 20th anniversary of the Americans with Disabilities Act (ADA), and to hammer out disability policy recommendations for the decade to come. As with any event of this magnitude and importance, the range of subjects and policies was expansive. I had the opportunity to speak with a number of attendees during the four days of the summit, and we agreed that while perhaps more time could have been spent on ways to move disability policy forward, valuable lessons and ideas were nevertheless uncovered regarding where we are and where we need to go. The NFPA Journal WebExtra presentation on July 22, which featured Allan Fraser, senior building code specialist at NFPA, was attended by more than 300 participants. Fraser's presentation, "We Have Seen the Enemy and He Is Us: Including People With Disabilities In All We Do," examined the variety of ways that NFPA codes and standards contribute to the safety of people with disabilities, as well as emerging disability issues that promise to shape future versions of the codes. To see an archived version of Fraser's presentation, along with other archived WebExtras, and for information on upcoming WebExtras, visit nfpa.org/webextra. Examples of NFPA codes / standards that cover disabilities? What issues remain to be tackled? The full name of the event offered a lot of appeal for attendees: "National Summit on Disability Policy 2010: ADA 1990-2010 Retrospective and Future Policy Directions - A comprehensive dialogue to shape the national disability agenda." There were more than 475 attendees, representing an incredibly wide range of interests and experiences, not to mention 48 states and the whole spectrum of disabilities. The formal program began on Monday, July 26, with hundreds of attendees applauding the opening ceremony that included the U.S. Marine Color Guard and Band playing the national anthem. In his opening remarks, NCD Chair Jonathan Young said that the dialogue and recommendations of what we all need to do for, and within, the disability community to address inclusiveness in all aspects of society have been on the table since 1996. This summit isn't necessarily about generating new recommendations on what to do, he told the crowd; we know what to do. Now it's time to decide how we get them done. Promises made to the world that the 2012 Olympic and Paralympic Games will be the most accessible ever for disabled people will be broken predicts Dee Doocey, the Liberal Democrat London Assembly Olympics spokesperson, unless disabled people are at least given access to a network of Olympic road lanes during the 2012 Games. Detailed research carried out by the London Assembly Member has revealed that many disabled people will face public transport journeys twice as long as those faced by non disabled people. Straight forward journeys on the London Underground will be complex and lengthy for disabled Londoners and visitors - often involving four or even five changes on the tube due to the limited number of accessible tube stations. A further discovery from Dee Doocey's research is that Transport for London's journey planner actually claim that no public transport journey to the Olympic Park is even possible for disabled people starting their journey from Stansted or Gatwick airports. Such inaccurate information is routinely provided to disabled people because TfL fail to provide information about accessible network rail overground stations for disabled travellers. In complete contrast Transport for London do provide information about network rail journeys for non disabled people , so assisting them in making the easiest journey across London. Stony Point, NY (PRWEB) June 24, 2010 -- Universal Symbols in Health Care(TM) is a new international standard symbol system that is the result of an 8-year development program. This is the most extensively researched and tested group of symbols for this subject in existence today. With support from the Robert Wood Johnson Foundation, this collaborative development program was led by Hablamos Juntos (We Speak Together) and the SEGD (Society of Environmental Graphic Design), and involved independent researchers, four design school teams (Cincinnati Univ., California Polytechnic, Iowa State Univ., and Kent State Univ. ), and several groups of design professionals. Final symbol designs were completed in April 2010 by international symbols expert and designer Mies Hora, Creative Director and President of Ultimate Symbol. An article with the complete project history and credits is available online. 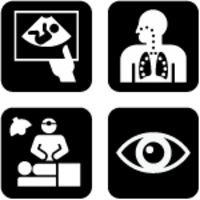 "Universal Symbols in Health Care: Special Edition provides sorely needed navigation tools for architectural signs in hospitals and clinics offering essential services to visitors with LEP (Limited English Proficiency) as well as those with limited literacy," stated Mies Hora. The Special Edition download package announced today by Ultimate Symbol has an addendum of 42 symbols including relevant Public Services, Information, Regulations and Warnings. Users can easily browse and download the entire volume or single images directly from Ultimate Symbol. daylight for the first time. I grew up on fairly simple foods, so I can't handle anything remotely spicy. But when is this typical behavior and when does it cross over to a disorder? When should you seek help for your child? Marla Roth-Fisch is the author and illustrator of Sensitive Sam, a book written for kids to explain Sensory Processing Disorder (SPD). The book is written in an easy-to-read rhyme format and walks us through Sam's daily sensory slip-ups. todas as 31 pra?as de atendimento das subprefeituras da Capital. oferecido de segunda a sexta-feira, das 8h às 17h. instalar a CELIG em 56 pontos até o final deste ano. - EMEE Helen Keller. Endere?o: Rua Pedra Azul, 314 / Aclima??o. If you watch this interview with Robert "Bobby" Coward on YouTube. Note the accessibility feature for those with a mild print disability called "Interactive Transcript." Congratulations to YouTube acting in the spirit of independence for all! TRANSCRIPT: I'm a United States Air Force vet. I suffered a spinal cord injury in 1991 as a result of an auto accident. In which I tried to reenter my career field in aviation maintenance, technology- aircraft mechanic. Real good at it, too. And as a result of me not being able to turn a wrench, my country deemed me unemployable, unfit for society. And the ADA would guarantee that I'm fit for society. What does the 20th anniversary of the ADA mean to you? The 20th anniversary of the ADA means that I have the right in the United States of America, as well as other Americans do, to reside in the community with civil rights and civil liberties that everyone else has. It's my foundation that ensures that my rights are guaranteed. How has the ADA affected your life? The ADA has affected me in such ways, since I suffered my spinal cord injury in 1991, that will provide me with full inclusion into society, not more focused in the District of Columbia. You know, that's my focus when I was denied access into buildings, access into transportation... I share a particular story with you that will kind of define what it means to me. As an African American, my senior leaders tell me, educate me on a time when African Americans were-had to ride in the back of the bus. And now with the ADA, now I know my senior leaders within the disability movement share with me that, at that time, individuals with disabilities weren't able to get on the bus. And this applied to this day. So what the ADA means to me is that now I am able to ride on the bus or take any other public transportation options that are available to the general public. So it means that I am included in society again. What changes have you seen as a result of the ADA? I've seen significant legislative changes for inclusion of persons with disabilities around access, around benefits, transportation, employment, housing. I've seen enforcement of these rights. Actually, in my community, I see a lot of signage, I see awareness among the general public of the ADA and persons with disabilities. What still needs to be done regarding the ADA? Education. Education of the new leadership that's coming into Congress. Education of industry types, industrial, Realtors, the medical profession, around persons with disabilities. And the awareness, we need more enforcement, we need more opportunities for economic development. And we also, we just need, a general campaign that will target society as a whole, so they could understand that being disabled is not a sickness, it's just a dexterity, a physical condition. That we are very much a part of society, we are not deemed unfit for society; and that needs to be changed. The 2nd Annual "Beyond the Waters" Beach Party is back as we will gather at the beach for food and fun. Presented by the Kostas Z Foundation, Adaptive Adventures and MDWWC. Please tell your friends to come and play! Volunteers are needed !! Additional Sponsors and Partners are welcomed as we wish to have this an Entirely Free Event and all additional funds will support the the summer adaptive fun along the Chicago beaches. Join some of our committed sponsors, Chicago Park District, Kayak Chicago, World Sports Chicago, Mellos Snacks, and private donors. Around the world people with disabilities are actively inserting themselves into society and asserting their experience as valid. As I travel i always counsel people with disabilities to market to the travel industry their local knowledge of the built environment, transportations and services systems, and cultural issues. A lot needs to be done in implementation and getting the basics right for those who are conventionally known as handicaps. We even want to teach and counsel the parents.Informed, supportive parents are better able to make rational decisions for their child.Despite the social, religious, economic, political and geographical differences, most Indians consider disability as part of 'karma of past life'.We need to change this mindset and replace it since this theory can result in inaction. But we want to inculcate a healthier thought process and have to engage in "karma in the present life" instead of cribbing over the "karma of past life". We don't promise to remove the physical barriers but we aim at removing the mental blocks,which prevent us from leading a healthy and satisfying life. At www.crossthehurdles.com we are providing free counseling services for the disabled. I, myself, have been facing such challenges since the age of 3 years i.e. for more than 35 years, as I got afflicted with polio. But I never lost hope and kept a healthy approach towards life. I kept on working hard,continued my studies and now I am financially independent which is the most important part of rehabilitation. So, I think I would be able to relate well to the hardships, which physically challenged people have to face while trying to fit into the environment around them,especially in country like India, where awareness is minimal regarding the counseling needs of such people. I want to use my knowledge, expertise and personal experience to bring about some relief to my co-sufferers and prevent them from being victimized by irrational thoughts and beliefs.